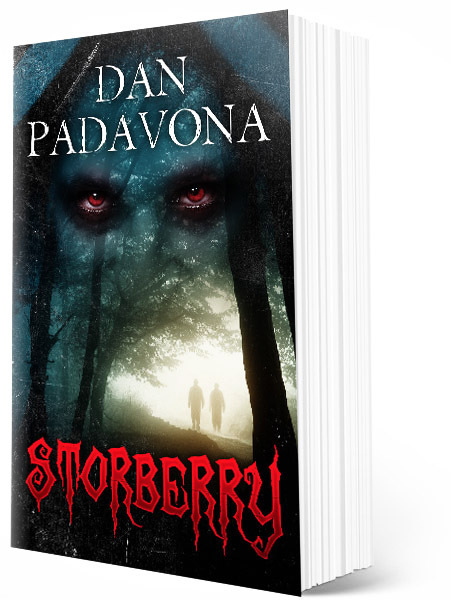 The latest horror novels from Dan Padavona, author of the bestselling vampire story, Storberry. Lost in the dark woods. Stalked and butchered. Head severed and tossed into the bushes. She is the first to die. The body count will grow. Slasher horror in the vein of Friday the 13th, Halloween, and The Texas Chainsaw Massacre. A group of young counselors set out to rebuild Camp Black Bear. But a bloodthirsty killer stalks the woods. Now two counselors must survive the night in the forest. The killer is hunting them. He won’t stop until they are dead. And the nearest town is ten miles away. Where is the sheriff who promised to keep them safe? Can the counselors evade the killer until help arrives? More victims are found murdered in the woods. The vehicles are destroyed and the radio disabled. No escape. Footsteps in the dark. The killer is coming. Classic slasher horror that will leave fans of Stephen King, Friday the 13th, and The Texas Chainsaw Massacre breathless. 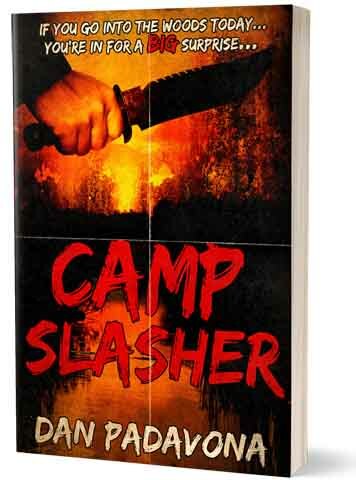 Fans of true slasher horror should get to know Camp Slasher. How far would you go to save a child in need? Jadyn is a promising inner-city student. But his community is terrorized by gangs and a series of grisly unsolved murders. After the boy stops coming to school, his teacher, Annelise, determines to find out why. Now she is trapped on the wrong side of town, and something evil is stalking her. Do you like dark horror and splatterpunk? 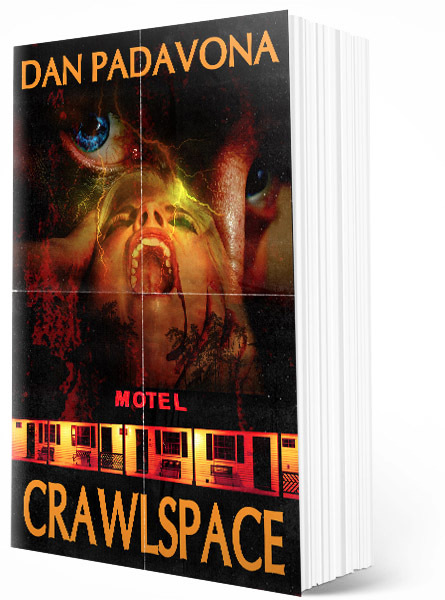 Quilt is the most twisted story yet from Dan Padavona, author of bestseller Crawlspace. 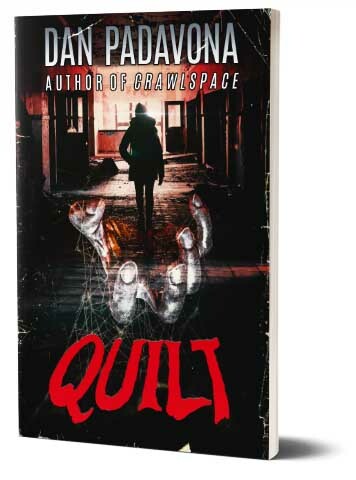 Fans of horror movies such as Candyman and Nightmare on Elm Street will especially enjoy the squeamish, psychological horror of Quilt. Grab this terrifying dark horror story now! Somebody wants to kill her. Marissa tries to catch her adulterer husband cheating, but someone is stalking her. After a series of bloody murders follow Marissa, she doesn’t know who to trust. Now she must stay ahead of a bloodthirsty serial killer to discover the horrible truth about her marriage. If she fails, she dies. Becca is homeless, but she sleeps in the finest neighborhood houses. She knows when you’re home and when you’re away. She might even be sleeping in your bed right now. Danger, however, is closing in on Becca. New York’s most-feared murderer, The Midnight Killer, is butchering victims on his way across the state. He’s getting closer to Becca every day. When Becca and her friend, Steve, flee from a deranged man in Barton Falls, they take shelter inside an abandoned farmhouse on the edge of town. But something evil lurks within the house, and a freak October storm has trapped Becca and Steve. Three horror novels readers are describing as a return to “true, old-school horror.” Dark Vanishings, Storberry, and The Island – Over 500 pages of terror and suspense for the price of a couple cups of coffee! On a May afternoon, people awaken to find themselves alone in their towns, their neighbors mysteriously vanished. A teenage girl harboring a horrible secret flees across the country from a deranged stalker. A Florida man moves into a luxurious amusement park resort, where he meets a beautiful woman. But they are not alone in the resort. A young man with an addiction to fast cars and power clashes with a bounty hunter. In a lost world where rules no longer exist, the remaining survivors struggle to stay alive, trying to unravel the mystery of the world’s disappearance. Do you like fantasy and horror novels like “The Stand”, “The Wheel of Time”, and “Carrie”? Then you will love Dark Vanishings! One of the most frightening vampire horror novels since Salem’s Lot. Haunted by childhood demons, Evan Moran returns to Storberry, Virginia, to find a greater evil threatens the town. Teenager Jen Barrows is frightened by the strange noises coming from her garage crawlspace after nightfall, despite the assurances of friend Tom Kingsley that there is nothing to fear. When a strange storm cripples the town’s communication systems, something hideous begins stalking the people of Storberry. Tom and Jen align themselves with Evan, and a tiny group of survivors who suspect the horrible truth behind the evil loose in the night. Together they must overcome personal tragedy and find a way to survive until sunrise. In the darkest pit of night, before the faintest strip of blood red is on the eastern horizon, it seems the sun will never again rise in Storberry. Someone is stalking the dark passages of Kane Grove University, murdering its women. When the murdered disappear from their graves, some of the students whisper the word, “vampire”. Is something supernatural responsible for the grisly killings? Short and sweet, this foreboding tale has a chilling ending. Read it with the lights low. Grab your copy now and save 25% over the cost of purchasing all three titles separately! Do You Miss the Days when Vampires Novels were Scary? One of the most frightening horror novels of 2014. Haunted by the demons of his childhood, Evan Moran returns to Storberry, Virginia, to find a greater evil threatens the town. 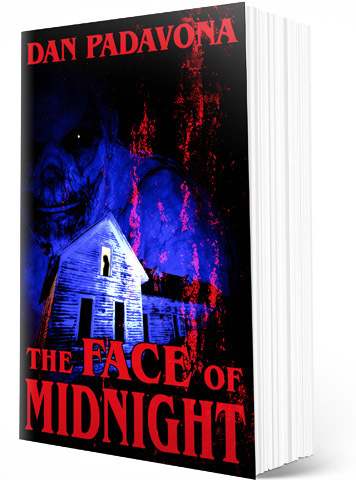 Across town, teenager Jen Barrows is frightened by the strange noises which come from her garage crawlspace after nightfall, despite the assurances of friend Tom Kingsley that there is nothing to fear. When a strange storm cripples the town’s communication systems, something hideous begins stalking the people of Storberry. Tom and Jen align themselves with Evan and a tiny group of survivors who suspect the horrible truth behind the evil loose in the night. Together they must overcome personal tragedy and find a way to survive until sunrise. Three Stories for the Price of One! The Island – A man and his son lost at sea take refuge on an uncharted island. As they struggle to find a way back to civilization, they discover disturbing sights: colossal webs that stretch across whole sections of jungle canopy, lack of insect life, and within a strange cave, an undiscovered, terrifying breed of spider. 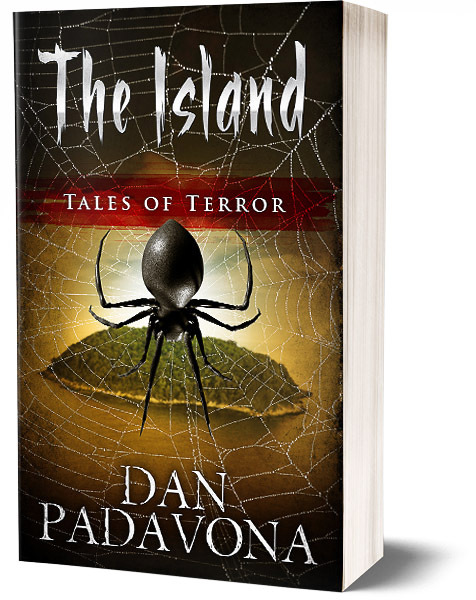 If spiders unsettle you, this story will have you squirming through the finale. One Autumn in Kane Grove – Someone is stalking the dark passages of Kane Grove University, murdering its women. When the murdered disappear from their graves, some of the students whisper the word, “vampire”. Is something supernatural responsible for the grisly killings? Short and sweet, this foreboding tale has a chilling ending. Read it with the lights low. Treman Mills – Hurrying to get home before dark, Rachel and Charlie take a shortcut through the dangerous section of Treman Mills, a town where five brutal, unsolved murders have occurred in the last year. When the Black Thorns gang catches them on the wrong side of town, Rachel and Charlie flee into an abandoned building. But they are not alone in the darkness. 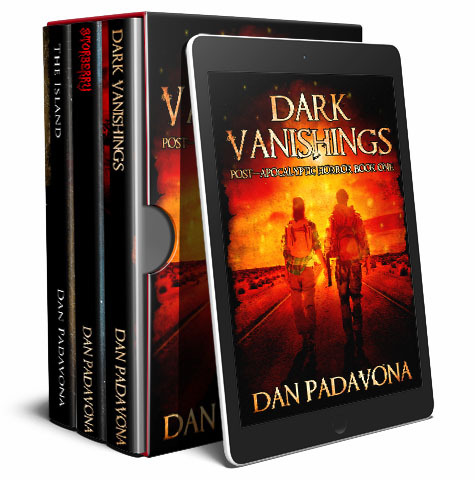 Bonus – Now includes the entire first chapter of the post-apocalyptic thriller, Dark Vanishings! In the spirit of iconic horror classics such as The Texas Chainsaw Massacre and Maniac, Treman Mills is a heart-pounding, gory tale of betrayal and one town’s decay. 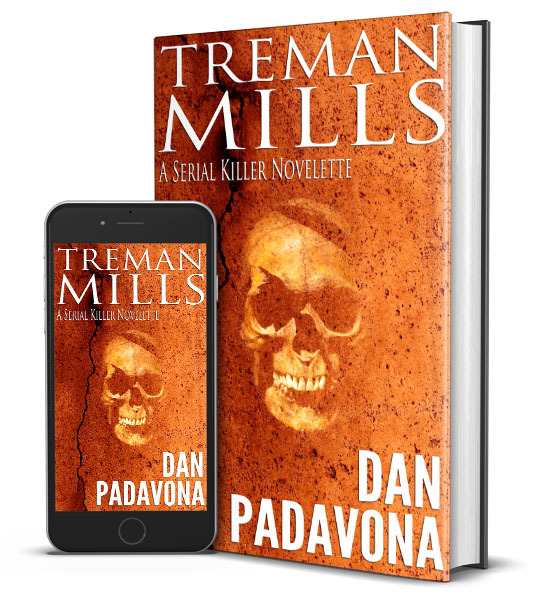 If you enjoy old school slasher movies, dark horror novels, and serial killers, you will love Treman Mills! Thom Meeks lives with his family in Droman Meadows under the protection of the Kingdom of Mylan. An unusually long winter creates anxiety in the village and some believe it to be the return of an ominous force known as the Shadow. When a pack of dread wolves lays ruin to Droman Meadows, Thom escapes with his wife and four daughters. They set out on the Mylan Road in hopes of finding refuge in the capital, but dark forces emerging from the primeval forest will challenge them for their eternal souls. 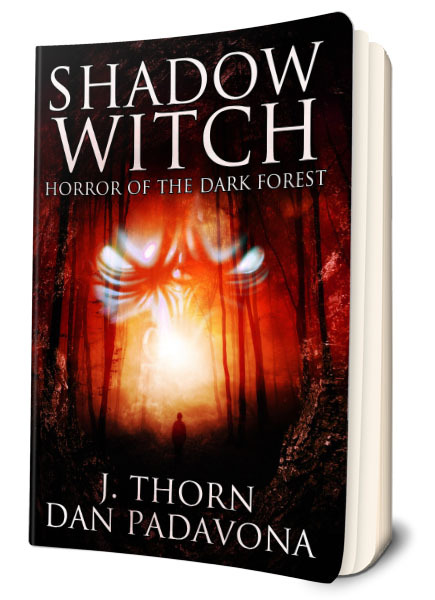 Shadow Witch is the highly-anticipated collaboration of Dan Padavona and Amazon Top 100 Horror Author, J Thorn. A devilish combination of Horror and Fantasy. If you enjoy horror, and epic fantasy stories such as Terry Brooks’ Sword of Shannara or Robert Jordan’s Wheel of Time, you will love Shadow Witch. Never have two genres melded so perfectly that you’d swear they were meant for each other. 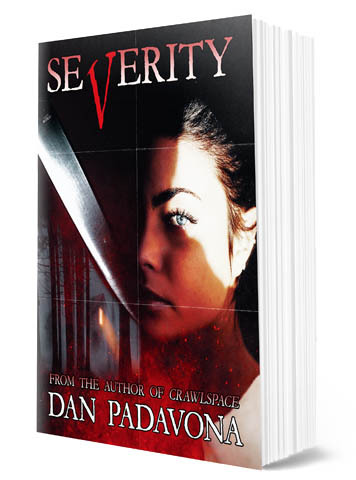 Join Dan Padavona on Patreon and receive exclusive stories every month and new novels before they are released to the public. For as little as $2!